The recent boom in oil production in the Permian Basin has created a bottleneck situation,where the pipelines that are currently in place are not capable of moving crude to refinery locations fast enough to keep pace with the level of production. While the rate of production has increased significantly over the last couple of years, the infrastructure in place to move that oil has not increased at a similar rate, creating a situation where refiners have to pay an additional premium to acquire crude. This is especially costly with volatile oil prices. Clearly, there is a need for more pipelines to service the region; the issue is that the pipeline infrastructure in the Permian Basin is already quite significant, in spite of the fact that it can’t keep up with the current level of demand. This fact means that pipeline right of ways in the region are already very congested, making it a real challenge to find efficient routes to lay new pipelines. An experienced land surveying company can help oil and gas companies overcome the challenges that are currently facing them in the Permian Basin by finding an efficient route that does not overlap with existing routings. It the past, developing pipeline routings depended on topographical maps. These maps were frequently incorrect and offered very little detail, but were usually good enough to get the job done. Now, in an era where the Permian Basin is already crowded with pipelines, “good enough” no longer gets the job done. Luckily, land surveyors have developed new technologies to help overcome the current challenges facing oil and gas companies. With GIS mapping tools, land surveyors can help their oil and gas clients get a more detailed pipeline route survey than a traditional topographical map could ever offer, allowing them to identify potential issues such as terrain change and chasms. Simply put, if you’re considering a pipeline routing project in the Permian Basin, you can’t afford to enter the game with anything less than the most complete, accurate information possible. Anything you don’t know coming into the project could come back to haunt you later on in the form of higher costs and unexpected delays. A land surveyor can provide you with all of the studies and analyses needed to make sure your pipeline project progresses according to plan. Knowing how much a pipeline will cost to build depends on a wide variety of variables, and failing to account for any one of these variables could result in unpleasant surprises down the line. A land surveyor can help oil and gas companies account for all costs involved with a pipeline routing, and suggest alternate routes that may be more efficient uses of resources. They can also help identify environmental hazards that might lead to higher-than-expected costs. 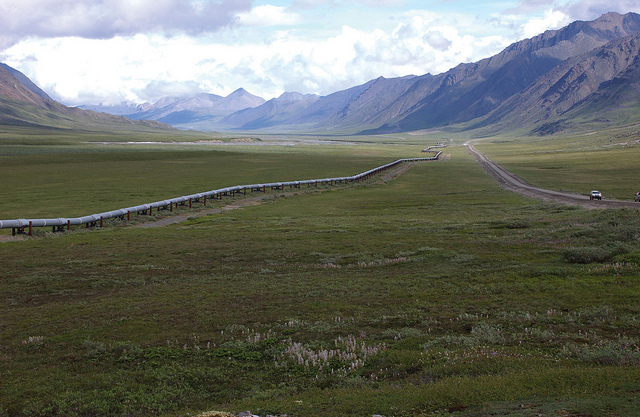 When it comes to a pipeline route survey, what you don’t know definitely can hurt you. A land surveyor can help oil and gas companies research legal issues such as land status, right of ways, and easements. As a result, the company can gather all of the information they would need to feel confident about moving forward with a proposed routing, knowing that they don’t have to worry about legal challenges in the future. 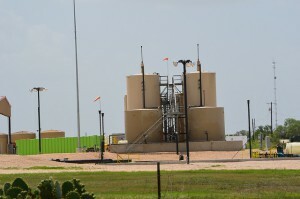 This is a particularly beneficial service in a very crowded region such as the Permian Basin. To learn how Landpoint can help with your Permian Basin pipeline development project, get a free land surveying quote today. However, one of the problems that has emerged for oil and gas companies is finding the most efficient route through the increasingly congested right of ways. As more and more pipelines are developed and the amount of acceptable territory a pipeline can pass through decreases, it becomes even more challenging to find an efficient path for pipes. 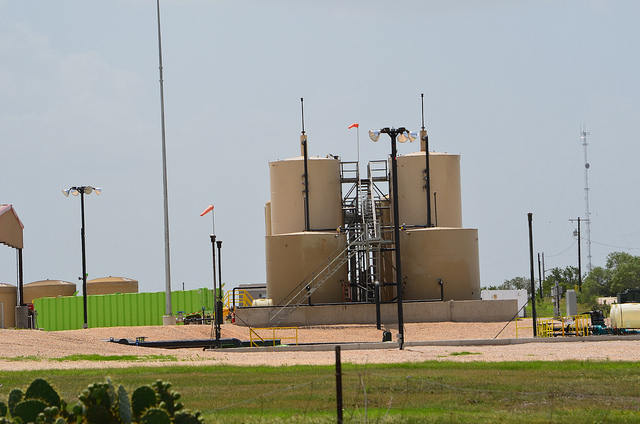 In order to see the largest gains possible from projects in the region, oil and gas companies need exact maps and pipeline survey information to find the most efficient routes for pipeline deployment in the Eagle Ford Shale. As the first step in pipeline routing, consider going with a professional land surveying company that uses Geographic Information Systems (GIS). Using GIS mapping tools, field teams identify geographic issues like terrain changes, chasms and other geographic issues not readily apparent on topographical maps. They make recommendations based on environmental constraints, existing and proposed structures, and costs. Additionally, GIS can contain other existing and foreign pipelines and pipeline easements, ownership information, and well locations. Before GIS technologies, surveyors used topographical maps to plan routes. These maps were not always correct and did not give the level of detail needed for pipeline surveying. Done properly, this critical first step eliminates false starts and reduces costs. Land surveyors and right of way agents are responsible for researching ownership, surveys of record, federal and state land status, right of way documents, recorded easements and more. The oil and gas company receives all available information that may result in legal challenges for the proposed path. The final survey report contains history survey information that includes all surveys performed on the property in question. Land surveyors find hidden geographic issues not visible on topographic maps. 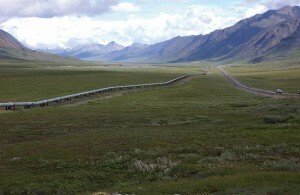 They can identify whether or not the terrain for a projected path can physically handle the pipeline. They can also identify any potential environmental hazards that could cause trouble in the future. They make recommendations based on all data gathered and will often recommend the best route and alternate routes guided by costs and other considerations. Professional survey companies offer feasibility studies, preliminary mapping for IFB and IFC proposal development, construction studies, BOM development and more. They provide environmental and land use impact studies, governmental analysis, engineering support, and high-definition scanning. Recent technological advancements such as GIS, mobile data gathering, cloud based project management, and 3D scanning allow survey companies to deliver pipeline surveys and reports at lower costs than in the past, without sacrificing accuracy and while improving turnaround times. Measurements, boundaries, layouts, sketches are much more accurate and clients make informed decisions for site selection, well locating, site layouts and pipeline deployment. This allows for better planning when building pipelines in the Eagle Ford Shale, reducing costs and speeding up development. If you need help with pipeline routing, then get a free land surveying quote today.